Get ready mini-makers, your favourite arty party man is coming back to Australia! 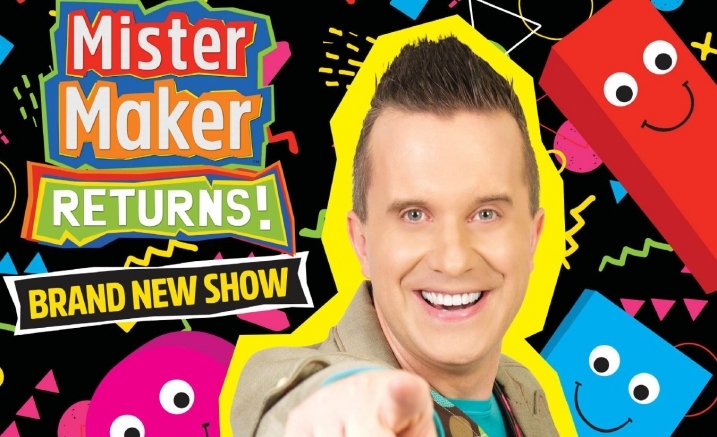 Zodiak, Live Nation and NAB are excited to announce MISTER MAKER RETURNS for a series of live shows in July that will take him around the country in what promises to be the family show of the year. Joining Mister Maker on stage will be his famous side-kicks The Shapes as well as the Mister Maker dancers. Mister Maker Returns is a brand-new theatre show, perfect for children of all ages and their grown-ups too! There are also exciting opportunities to interact with Mister Maker, games to be played and prizes to be won! Mini Makers’ artwork will be showcased at the theatre! 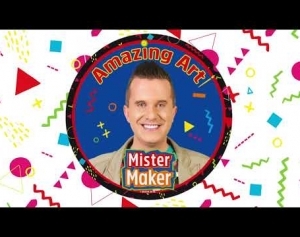 Bring your favourite drawing or painting to the show and get a special Mister Maker prize. Make sure you come early to take part in our very own arts & crafts zone, thanks to NAB. Create your favourite Mini Make to take along to the show. Everyone who brings a mini make along has a chance to win a prize! The Mini Makers Zone will open one hour before each show.